Compare And Preview Your Fonts Online And Offline ! Here we have a tool for creating and comparing the fonts in web browser. The name of the tool is Font Picker which makes the process in both online and offline mode. 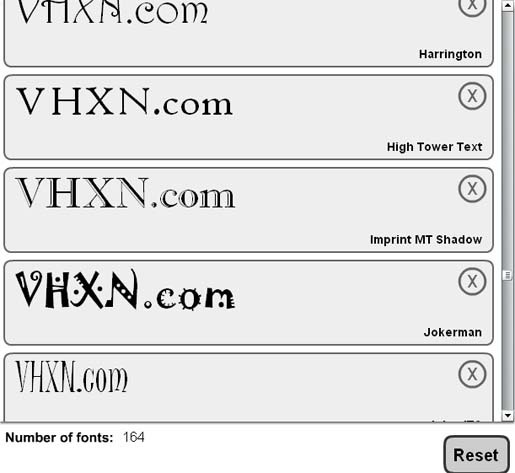 To view the styles of the characters we have to type the name which we want to make stylish in the Font Picker. In additional we can remove some styles which we don’t want to use by clicking the cross button. To use this tool we must install the Adobe Air, and then it will be the easiest method to change the font styles.